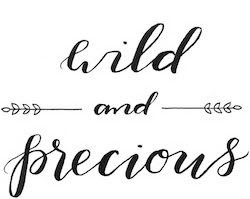 Wild & Precious: Prayers Please. David and I (especially David) have exhasuted ourselves looking for a new place to live. We would love to buy, but are honestly not ready for that. However, we do need a larger place to live (2 bedrooms) so that David can successfuly work out of the house. We have spent weeks looking and everytime we think we have found something it falls through for one reason or another. Our current lease is up February 10th. Also, this past weekend while driving around looking for "For Rent" signs, I was rear-ended. I am okay, but my car... well I am sad to say that it is probably totaled. There is a little bit of hope and my car might be saved, but we are waiting on the insurance company. My insurance does cover everything...but if it does end up totaled we will have some decisions to make. Please be praying for these things: that we would find a place to live in a good safe location within our budget (and allows sweet Oscar) and also for this whole car situation and with that also pray for the person who hit me -- a 70 year old, possibly uninsured, disabled, low-income man. He was uninjured, but I'm sure this will not be the easiest thing for him to deal with. His name is Robert. Geez, you guys have a lot going on. I'll definitely be thinking and praying about you guys! Hopefully your car will not be totaled...it seems like everything happens at once, no? so so sad indeed, michelle williams and matilda still live in brooklyn so i might go leave them flowers.